Prashar Lake Trek is an untouched secret in the Himalayas with enchanting beauty and a charming trail. Nestled in the bowl-shaped valley of the Dhauladhar range, Prashar lake trek takes you through thick forests with views of snow-capped mountains, making it a real gem of a place in the Himachal Pradesh. A short duration trek, it is a perfect fit into your long weekend plans & wanderlust fix. The views at night, beside the lake, are breath-taking and will make your expedition so much more meaningful. Easily contestable, however, would be your morning the next day. There is something so special about sunrise in the Himalayas, with untouched exquisiteness all around, being lit up with the first rays of the sun. And, to imagine you can fit all of this into an extended weekend is pure delight! Nestled in the Mandi district of Himachal Pradesh, most visitors of the region tend to be unaware of this hidden gem. Also, since the Prashar Lake trek can be done throughout the year, it makes for a perfect getaway. Added bonus makes this trek more special. Away from the hustle – bustle of your normal life, this is the place to go if you seek seclusion, tranquillity and spectacular vistas. The epitome of the trek – The Prashar lake – encapsulated by the Dhauladhar range in Kullu Valley, makes for a striking sight with its cobalt blue water. Also, Prashar Lake has a small floating circular island on its surface. And, locals will be quick to point out that there is no particular trend for the movement – it may be in the same place for months on end or it might move several times in a month. One of the best parts of this trek is that you get to choose your own starting point. Though the standard starting point is Baggi village near Mandi in Himachal Pradesh, you can push further ahead and trek lesser. And, depending on your experience in the wild, this trek is also doable without a guide, although for beginners it is highly recommended to take an informed person along with you. Dev Bhoomi Himachal would not miss an opportunity for connect with the Higher Power! Of course, this makes sense because places as quiet and serene make for the perfect locations to meditate and connect with the deeper meaning of the universe. And, isn’t that what we tend to do as well, when visiting such lusciously heavenly places? However, local legends also state that the lake itself was created by one of the Pandava Brothers – Bhima when he was returning from Kurukshetra after Mahabharatha. The Pandava brothers were accompanying Lord Kamrunag. 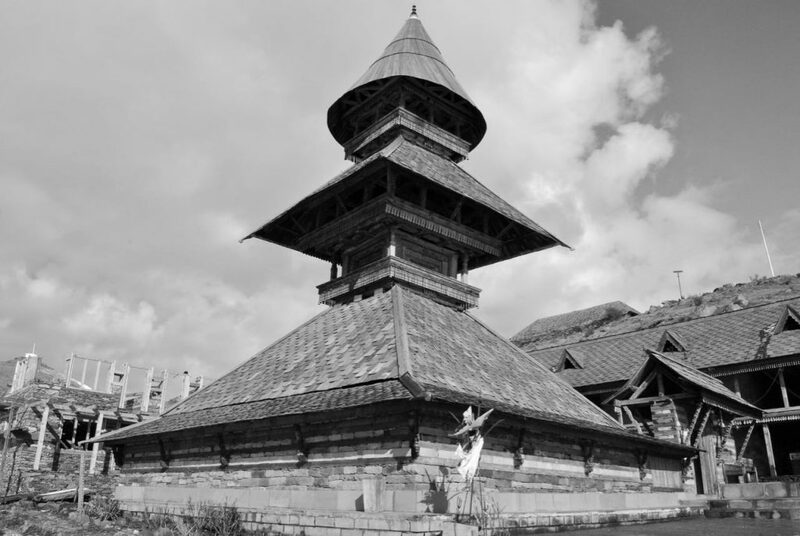 Kamrunag was so captivated by the valley and the location, that he decided to live there forever. Thus, the Bhima created the lake by ramming his elbow into one of the mountains. Also, locals share that no one knows the depth of the lake and many studies & divers have attempted to find the bottom point but returned with inconclusive results. 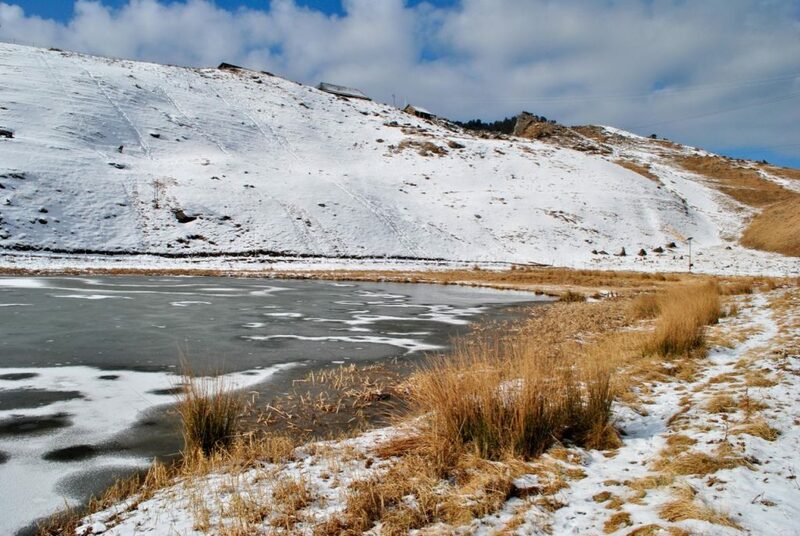 Prashar Lake has a knack for unpredictable weather – from snow-laden winter months to rains & bright sunshine filled days – since this trek can be done throughout the year, the weather at Prashar Lake will be synonymous to the weather in the Mandi region. 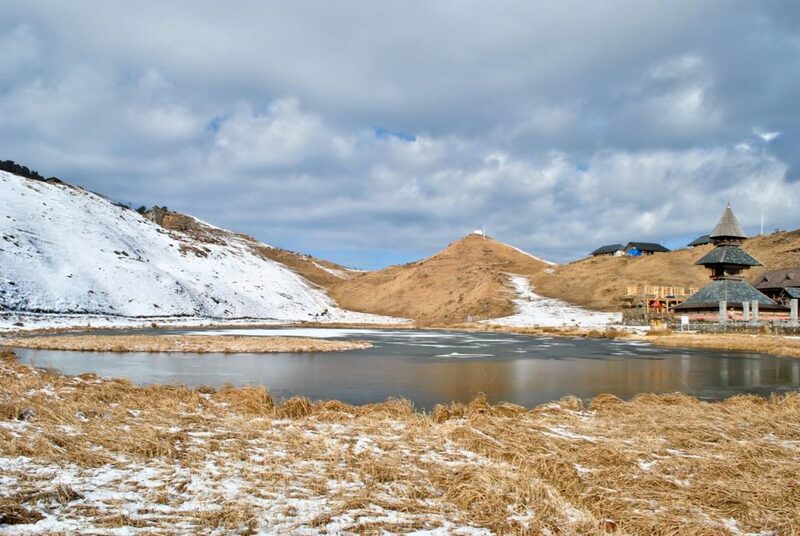 During the year, the highest average Prashar Lake temperature hovers around 21C and the minimum temperature hovers around -8 C. It is essential to be prepared in terms of unpredictable chill, even in the summer months. Thus, carrying the layering of clothes is the key for any successful trek in the Himalayas. 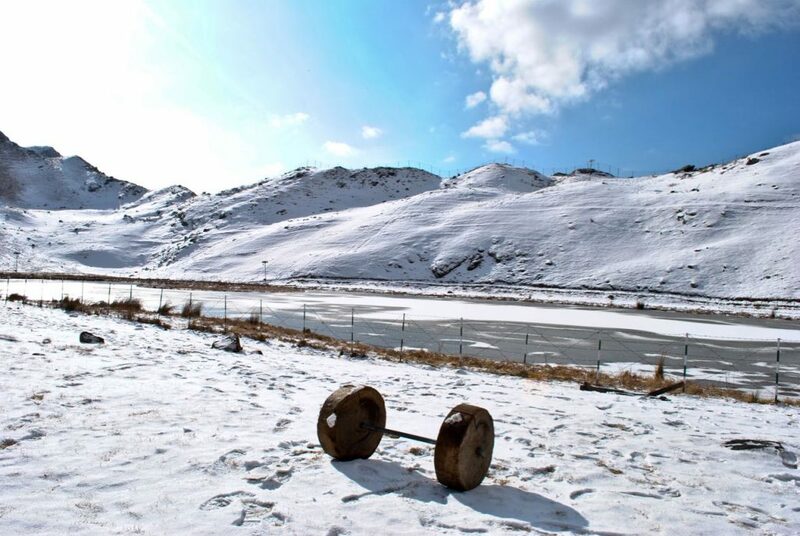 Well, you can indulge yourself in the Prashar Lake Snow Trek in winters. Although, this trek can be done at any time of the year, the months of January and February are considered best to do this trek as the lake is almost frozen and covered with snow. There is a certain magnetism to being in untouched hills, with the snowy white blanket embellishing everything in sight; with the nip of the air making you feel all the more alive, somehow. 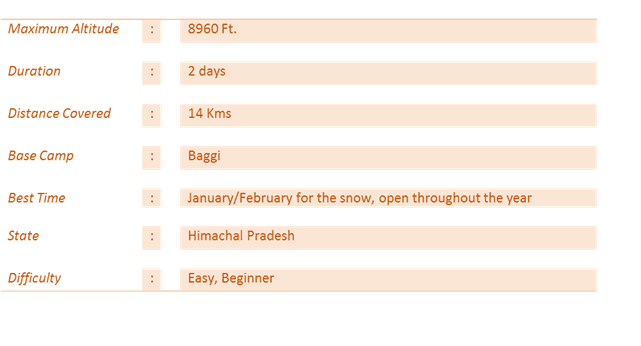 Did you know that you can also go for a winter Triund trek? However, if you’re so inclined to watch the magic of the floating island, post-monsoon makes for a great time to venture out. As it is during this time that the valley would be its lushest green self. While Mandi lies at a distance of around 430 Km from Delhi and 187 km from Chandigarh, Kullu is approximately 498 Kms from Delhi. The route takes similar time whether you start from Kullu or Mandi to reach the starting point of the trek, which is Baggi village. Here, I must highlight that you can drive further ahead of Baggi as well and reduce your trek duration or you can plan to hike through the woods to the Prashar lake from Baggi. 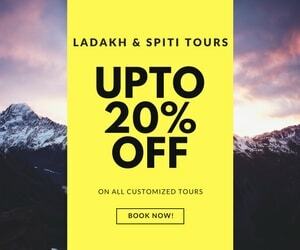 For ease of arriving, it is advisable to reach Mandi (lesser duration from Delhi) and push off for your journey ahead to Prashar lake from Mandi on the same day. Mandi is well connected by road as well as has a tonne of public transport options, as it lies en route Manali. The nearest Airport from Prashar Lake is Bhuntar, approximately 60 KMs away. You will have to take a cab/bus to get to Mandi. However, if you have no plans of exploring Mandi, it will be better to get the cab directly to Baggi village. The airport has limited connectivity and might face interruptions in operations, given weather fluctuations in the region. No direct trains run to Mandi from Delhi or Shimla. However, you can take Shatabdi till Chandigarh and hire a cab/ take a bus till Mandi. You can also travel to Joginder Nagar train station as well. Overall the above journey will take you around 9 hours of driving time. However, there is a lot to explore in terms of Dhaba food along the way. So, enjoy your gluttonous pitstops. Having your own vehicle/self-drive cab is a great option. You don’t need to worry too much about your car getting jacked while you’re out in the wild (who has the patience/ time/ energy!) and can be safely parked in Baggi. There are two options to reach Prashar Lake. One is by trek from Baggi village through the woods and another is direct via road. The road goes all the way to the top and is about 20 km in length from Baggi Village. In winters, the only option is to either trek or drive to the last accessible point and then hike rest of the journey to Prashar following the road. A more reliable option over private vehicles (which can easily be parked in public spaces around Mandi) would be public transport. A direct bus goes to Prashar lake which leaves at 8 AM from Mandi bus stand. The same bus reaches Baggi village around 10:30 AM. For folks who want to trek should get off at Baggi village and start their trek. The cost of the bus ride will be around INR 50. The same bus leaves from Prashar lake at 1:30 PM and reaches Mandi at 4:30. You can also book a cab to Baggi village or to Prashar lake but it’ll be a little costly in comparison to the bus. The cab costs INR 600 till Baggi and INR 1500-2000 to Prashar Lake. 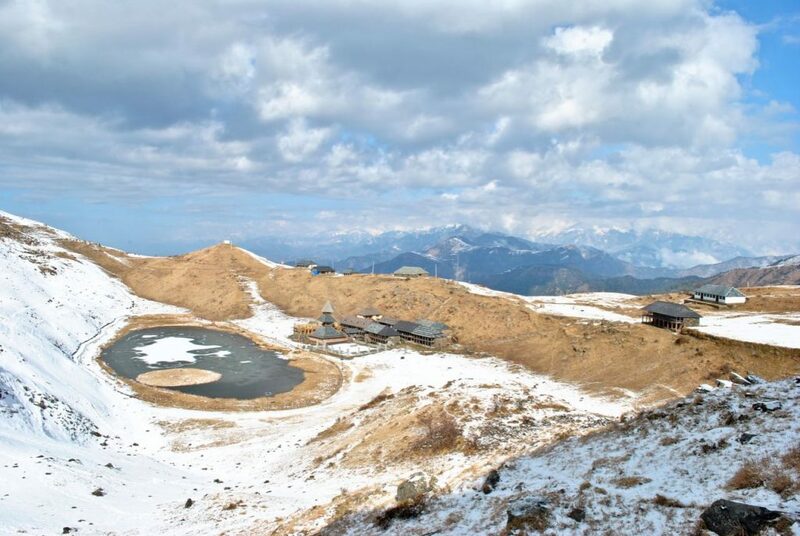 The Prashar Lake trek gives you the luxury of choosing your own starting point. One can even head directly to the lake as well. However, that would be a waste of an opportunity to genuinely explore the hills. I am of the viewpoint that a person gets into hiking/trekking by passing levels, just like in video games. Beginner levels are a must to get to the most difficult levels. So build up your skills and get connected with nature! Reach Mandi by taking an overnight bus from Delhi. Alternatively, drive yourself/take a flight to Bhuntar – or whatever another way we discussed above. Hope to reach Mandi by 6/ 7 AM. Explore the surrounding region of Mandi & enjoy the quaint Himalayan Life. Catch the bus to Baggi village at 8 AM from Mandi Bus stand which will leave you at 10 AM in Baggi. There are few cafés where you can eat your breakfast as well as pack your lunch & shop for eatables. This is a trek in the hills, amongst the trails –and you will not come across any commercialization. As always, do remember to carry your own water bottles & fill them up before you start the trek towards Prashar Lake. The journey from Baggi village to the lake will around 4 hours, depending on your fitness level and you will be covering a distance of approximately 7 KMS. Along the way, you’ll cross beautiful rivulets and the densely forested Himalayan Hills to finally reach the lake. The trek begins along the river basin. 15 minutes into the trail is your only water point – so fill up here – it will be necessary afterward. From here, the trail will divert from the river and your uphill climb begins. This climb is approximately 4 km and moderately steep. The trail will open up into beautiful meadows at certain places & you will get to experience beautiful vistas of snow-capped mountains. The trail will cross a couple of settlements along the way and you’ll get to experience/ observe the Himachali way of life. About 5 hours of the journey takes you to the lake – the first sight of the lake will be a moment to remember. Enjoy the company of nature & do take in the views at night. The stars and galaxies put on a beautiful show, just for those wanting to listen! Wake up as early as you possibly can. Yes, if you’re new to trekking, your body will be hurting and you’d want nothing more than just snuggling in your cozy tent. But, you’re only cheating yourself of the spectacular sights that await. The view from the lake encompasses three ranges of Himachali Himalayas – Pir Panjal Range to Dhauladhar range and the Lahaul & Spiti range. If you’re up to it, you can extend your adventure and try exploring another extremely old lake – Sukhasar Lake, only 2 KMs away Prashar. This journey will take you around 1 and half an hour and worth the effort. Also, once back to the campsite – go out and explore the old temple and immerse yourself in mythological history. Once back on the campsite – enjoy your morning cuppa chai and choose upon your return. You can either start trekking back to the Baggi Village in the morning and reach there till 2 PM as bus leaves from the Baggi Village around that time. Or you can directly catch the bus from Prashar lake itself, which will lead you to Mandi by around 5 PM. You can take the overnight bus to Delhi from Mandi. You can rent a tent at Prashar Lake, which costs around INR 300-500 per person depending on the season. You can also book the Forest Rest House which is 500 meters away from the lake (Contact Details:- Mr. Vir Singh 09459137877). The cost for a room is around 1000/- but you have to make an advance booking for it. You can also carry your own camping gear and pitch at some distance from the lake since it’s not allowed to pitch the tent near the lake. In terms of budget options, you can stay in the temple dorm which is near the lake. You can just contact the Pandit Ji and he’ll arrange everything and it won’t cost you a penny. There are no food options on the trek. However, a few options for food is available at the lake. There are a few cafés which serve tea, coffee, Maggi, Parathas and Rajma Chawal. Rates are pretty normal. There are no ATM’s near Prashar Lake. So, It’s better to carry enough cash. There are ATM’s available in Mandi where you can withdraw money. Prashar Lake does not have a very strong mobile network connection. Only BSNL and Jio networks are available, however, they, too, have intermittent connectivity. On the trail itself, you’ll be hard pressed to get a connection. But, isn’t that the point of a trek, anyway? Disconnect from the modern world, Y’all. There is only one water source available in between the trek and there might be a chance that you miss that. So, carry a lot of water for the trek in a bottle. Always carry a light woolen sweater/jacket for the trek. In winters, carry at least 3 layers of thermal clothing as temperature drops in negative in January. 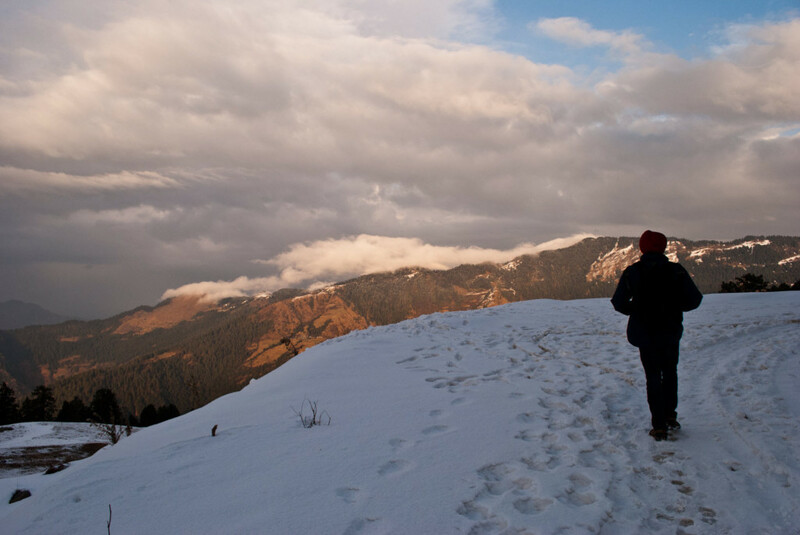 In the winter season, you need to have proper trekking shoes to do this trek as the trail is mostly covered in snow. While in summers you can trek with sports shoes but it would be a better choice to trek with trekking shoes. Carry all your waste back to Mandi and be a responsible traveler and make this beautiful lake pollution free. Ensure you inform your friends/family of your whereabouts and itinerary prior to embarking in the journey. Your fun should not be a cause of headache or anxiety for your loved ones! If this is your first-ever trek (Congratulations, by the way), or if you’re a relatively new trekker and especially if you’re trekking in the winter months – it is advisable to have a guide with you. 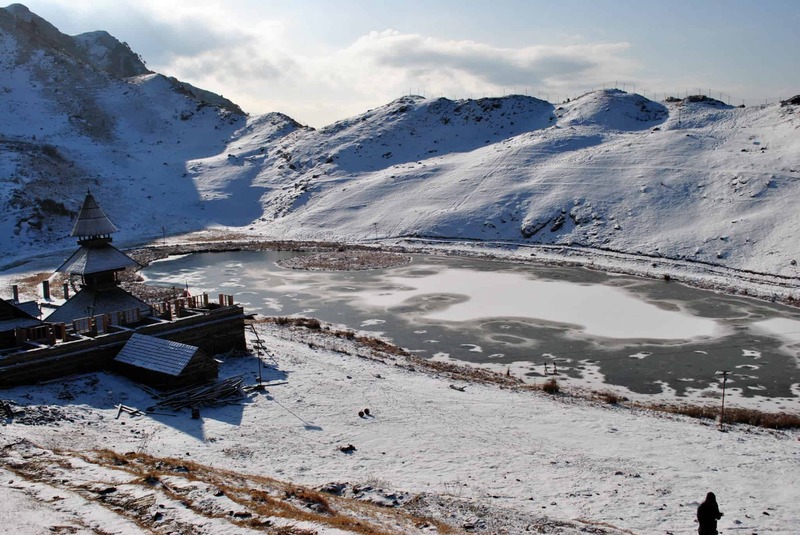 Prashar Lake trek is an often forgotten trail of the region. Partly because there is now full road connectivity leading up to the lake itself. However, the trail in itself is an extremely joyous experience, which surprises you a few times by opening up into spectacular views and shocking your system with what’s ahead. It is something the whole family can enjoy together, even if you’re not the fittest of folks. Also, there are no concerns for AMS and thus, makes for a relatively easier journey. However, it still works and there is a moderate climb associated for the most part of the journey. The views at the end, when earned, seem so much sweeter than just driving up to the lake. I hope this article will help you plan your trek to Prashar Lake. 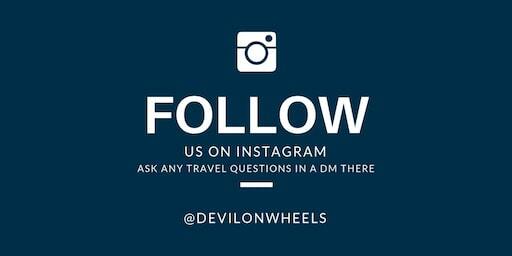 Do you have any other questions regarding this trek? Drop them in the comments below and we’ll try to help you in every way possible. If you like this article, then share it with your friends who you think might be interested in going to this lake!